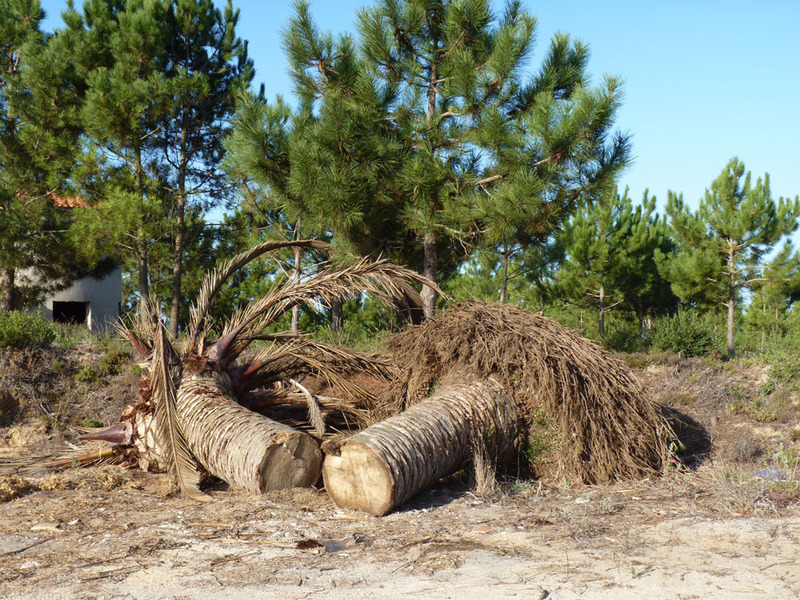 The situation regarding the invasive Red Palm weevil will never be resolved in Portugal (in my humble opinion) due in part to the apathy and laziness of the few. No action was taken when it first arrived in our area two years ago by some property owners as infested trees on their land were left to die untreated and the weevils then moved on to other host palms. 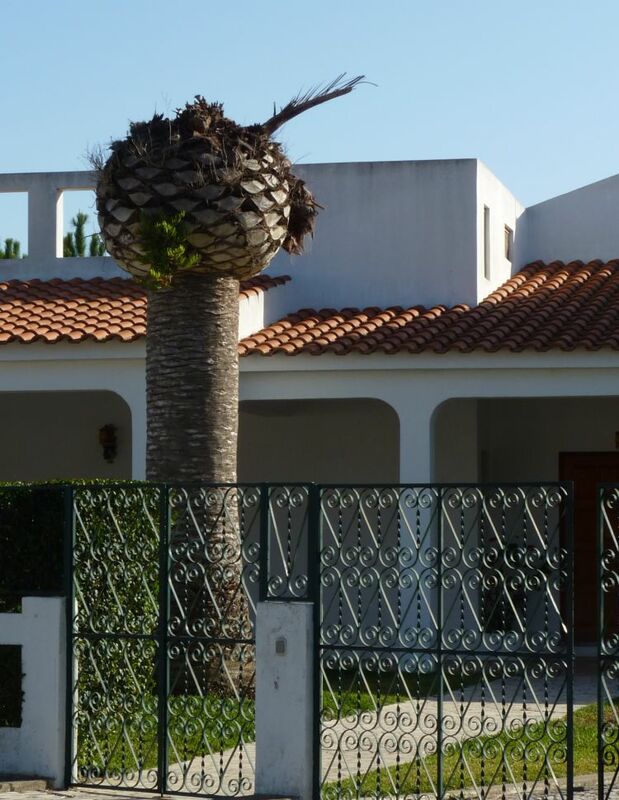 Too little has been done too late and eventually the landscape of the Algarve will change as many of these majestic palm trees fall victim to the weevil and die. Some property owners cut down their infested trees and just dump them in the countryside, or on waste ground without any consideration for others or the environment. Their action is totally irresponsible and has no doubt contributed to the rapid spread of this invasive beetle. Sad seeing those trees waste away when it might have been prevented. Hi Apple, it makes me so cross. 2yrs ago there were no trees in our are but now they are everywhere. I know the red palm weevil is diffficult to control but it’s the apathy that gets to me. I WISH scientists would spend more time finding out how to make these natural predators of the red palm weevil more efficient in wiping it out… a subject so much more deserving of funding instead of some of these stupid studies like “does drinking coffee make you go gray faster” etc. Sometimes the natural world needs a little help to keep the checks and balances,, we should be doing more to assist before beautiful nature like these trees are lost. Hi Kiwi, it is very difficult to control and friends and neighbours do treat their healthy trees to prevent infestation. You are right about stupid studies, more practical studies would be more useful. Another problem caused by the selfishness of mankind. Sigh. Thats one big beetle…I bet if you could convince a couple of well known chefs to turn it into a delicacy…problem solved! What a darn tragedy! Hard to believe the municipal councils, or what there is instead in the country, do not have an eradication programme! Far too ‘manana’ for this greenie! Impossible to believe people concerned do not care!!!!!!! Am beginning to understand our Border Security programmes on all fronts of travel: bugs are one of the first things the officers look for!! God grant me theserenity to accept the things I cannot change, the courange to change the things I can and the wisdowm to know the difference! 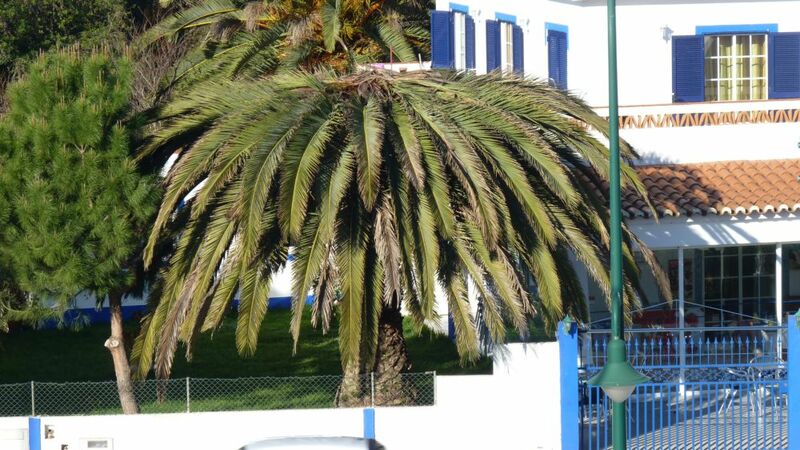 I have never heard of this weevil before, such devastation it causes to these beautiful palms. I’m in Australia, we have a lot of palms here in Queensland, but I have never heard of this before or seen palms with anything like this weevil, not in my area of Oz anyway. Doesn’t seem to be in Australia. I agree with you, if more folks would take better cautions when disposing of the infested trees, it’s possible that the weevil could’ve been controlled better. It’s such a shame. That is such a shame, I hate to hear of trees dying, especially when it could have been prevented. I know, but it seems like prevention was impossible. Palms in Spain and France have also been affected, There is no border control and these bugs can fly along way apparently. Byt the time it arrived here on the west coast people in the know should have been aware of how to deal with the problem. Hi Piglet! All those dead, once beautiful, palmtrees can make me cry. The big problem is that people only start noticing something is wrong with the tree when it is too late to do anything about it. The best thing is to try and prevent! The current way to do this is treat the palmtree every month with Confidor. Also you should prune the tree ONLY in December or January. As soon as temperatures rise to 25 degrees C. the weevils can fly and they smell by the cuttings where more trees are. Another problem is that most people do not know anything about all of this and are just caught by surprise when their tree dies. Also a lot of trees “in the campo” are dying. The (mostly old) Portuguese living there (or quintas that are left) also do not have the knowledge, nor the finances to do anything about it. The problem is that a decent sized tree like the ones in your picture cost about €1,000 to remove and dispose of, either privately or by the Camara (council). The fronds (?) have to be taken to a special council dump and this costs several hundred euros – so the locals (and probably some ex pats) either let them die or do the job themselves and dump them anywhere. Sad that such beautiful trees are dying and the council does not inform people or help with funds to treat this pest. Well at least I know why my hair went gray. Bloody coffee! Why not send an email to the entomology dept of a local university? I know things are a bit slow in Poraland, as my BIL is always reminding me, but there may be some little university Bug – er who is looking for Kudos for his doctorate. You never know, right? Write an email in ingrish then press translate and it’ll become porkancheese. Besides, you can bet most of those Varsity folk speak ingrish. My stepson and his wife do,my BIL does and so do a fair few of my Portuguese relatives. Anyhow, was just a thought. Almost beddybyes time down here in SA. Listening to Joe Jackson, Look Sharp….remember him? OK will do…you must be on the same time zone as me! Hi Steve, thanks for the Meme, but the rules say my blog must have under 200 followers. I have about 378? I can do it but wonder if you would like to nominate someone else instead? Your blog is so good Piglet, I an sure the rules can be bent just for you. Ok as you ask So nicely, it’s a nice thought – thank you!. However, I’ve been tagged in The Next Big Thing – Blog Hop…so I will have to give it a couple of weeks if you don’t mind? First I’ve heard of this, and just hope it isn’t invading us here in North Africa, but no doubt, it’s already arrived. Hi Lynne not sure about North Africa but I think from what I’ve read it’s now pretty widespread. Nasty critters . . . hope that they are brought under control and the palm trees enjoy a comeback. Think they’re heading your way Nancy! What a shame… they seem to be pretty determined bugs..